The Fate/ series is one with complicated backstories, but one thing that is relatively easy to understand is the concept of Servants. In each installment’s war, there are these fighters that are summoned by Masters, the people participating in this sort of competition for a Holy Grail that can make their wish come true. These familiars are based upon both real and imaginary historic and legendary warriors. With Fate/Extella Link, we have an installment that is incredibly aware of how little people might know about these people and the series and takes care to enlighten them. Charlemagne is a major reason why Fate/Extella Link works so well. He is an entirely new Servant and makes a point of noting this is his first time getting to participate in events. He is incredibly enthusiastic about his new role and seems to relish meeting new Servants. This is to the player’s benefit, because it results in many energetic introductions. Whenever "Charlie" comes across a new Servant, there is typically a moment where he immediately calls attention to who they are, identifying them in such a way that even someone unfamiliar with the actual character might catch a name and understand something about them. For example, Gawain might not look familliar, but his name identifies him as one of the Nights of the Round Table. Musou fans will definitely know Lu Bu, but Charlie makes sure the person playing has the proper context. However, while Charlie is an ingénue, it doesn’t mean he isn’t incredibly aware of the world around him. He knows everyone. This means when we have these moments where he interacts with other Servants, he briefly turns into their biggest fan. Someone might not know the Mahabharata, and thus have no idea who Arjuna is. 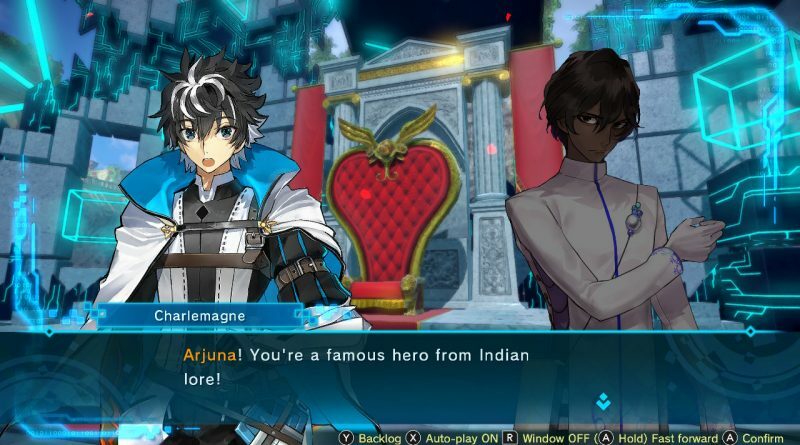 But when you first meet Arjuna, Charlie’s conversation with him provides some context and identification to help you get an idea of the kind of person he is. When you meet him again later, you have a further follow-up that again offers insight. You have an idea of the character’s capabilities without having to go and do additional research on your own. Once a Servant has joined your roster in Fate/Extella Link, the game gives you another resource to help better understand the people working with you. You can visit the Barracks and head to someone’s Private Room to see their Servant Gallery. Checking the profile there lets you click their True Name to learn a little more. In the case of Charlemagne, his description is obscure and notes that he is technically a king. Checking out Elizabeth Bathory’s notes the superstition that this Hungarian countess was a vampire. (Which, in turn, influenced this Servant’s character design.) 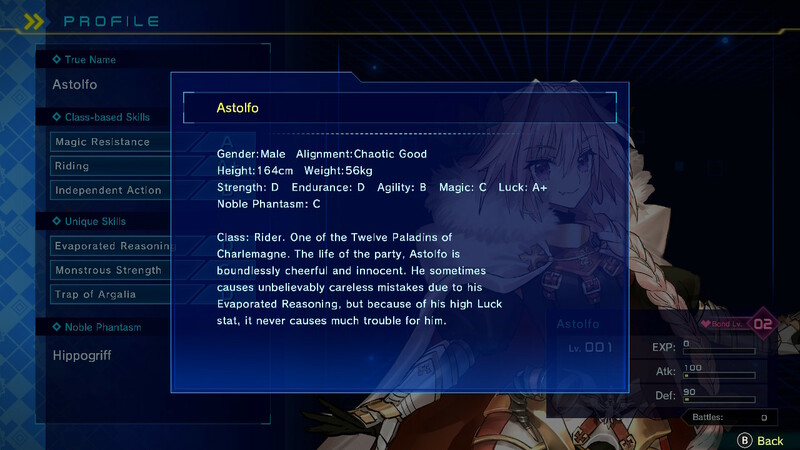 Someone like Astolfo has an even more informative profile, as it flat out says he was one of Charlemagne’s Twelve Paladins in life. 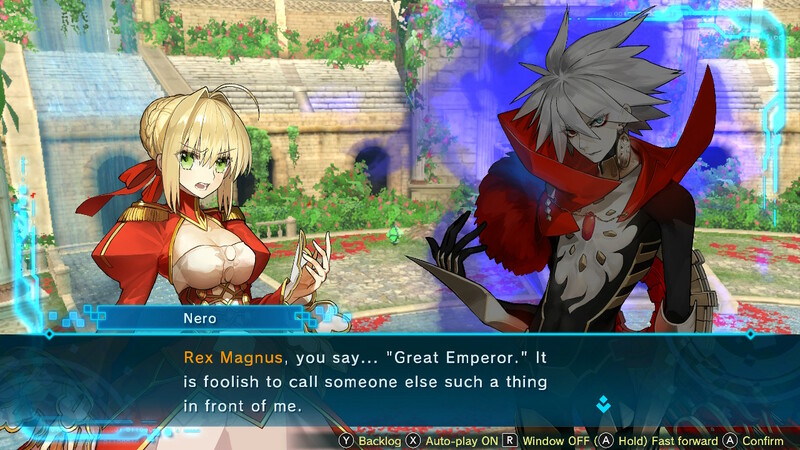 Then, we have people like Nero Claudius. One of the first Saber class heroes you start with, she is not shy about providing context for who she is. She is based on Nero Claudius Caesar Augustus Germanicus, the Roman emperor. Her area in Fate/Extella Link that she helped create is called and looks like Rome. She refers to the avatar as her Praetor, a sort of Roman magistrate. She is always talking about her duty to her citizens and the glory of Rome. Basically, if you didn’t know who she was by looking at her, something very possible since she is a woman, you will have a better idea after seeing her True Name and talking to her for a few minutes. Fate/Extella Link is very blatant. Which, when you think about it, might be a rather good thing. It has a much larger cast than Fate/Extella. These are all people who could be new to the player. By making it easy to identify folks and determine who they are, it keeps things from being confusing. Information is conveyed as you needed in a very clear way. Characters themselves can provide context. Plus, if you want a little bit more, you can visit them in their rooms to check out their profiles and get a some extra tidbits. It is all organized rather well and doled out on a need to know basis.